The Titanic in badminton has sunk. Korea has stopped China from claiming their seventh consecutive Uber Cup title and in doing so created one of the biggest upsets in women’s badminton history. With China’s dominance and depth in women’s badminton over the last decade, it is a rarity to see the Uber Cup final going down the wire. Not that it did at the 2010 Uber Cup final as much as Korea has turned the tables on the defending champions, but the underdogs did it in just three matches to one. 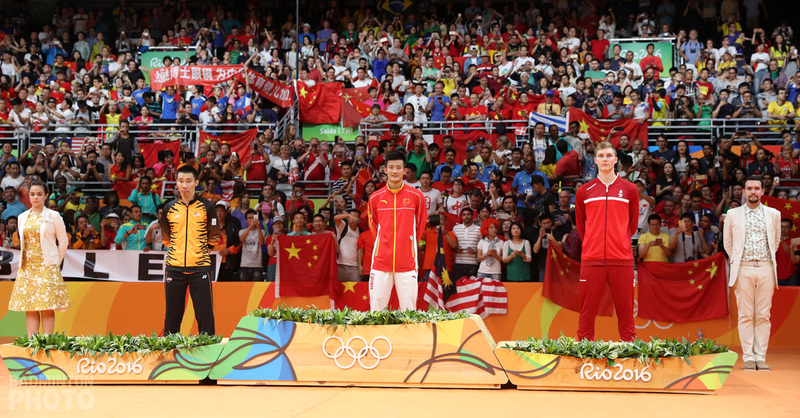 Both teams served up great badminton. China had wonderful finesse but Korea had beautiful spirit. The last time such a pulsating affair was witnessed at a Uber Cup final was in 1998 when China edged out defending champions Indonesia. Ever since, China has won six consecutive Uber Cup titles. So it has come a full circle. Korea has sunk defending champions China to lift their maiden Uber Cup, against all odds. China’s Uber team has a glittering cast of two world number ones and two world number twos, but as seen in the Thomas Cup semi-final between Malaysia and China, world rankings sometimes mean nothing. Defying statistics, world #16 Bae Seung Hee drew first blood for Korea with a beautiful 22-20, 21-10 victory over world #1 Wang Yihan. 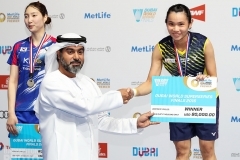 Wang, who was defeated by another Miss Bae (Youn Joo) of Korea at the Malaysia Super Series in January, is clearly still under the ‘Bae’ curse. In fact, the athletic Bae Seung Hee (picture left) has of late been a threat to the lanky Chinese. Their previous exchanges have always stretched to tiebreakers but the Chinese has always sneaked the win, but in today’s final, Bae outran Wang Yihan and totally exposed the Chinese ace’s weaknesses in her slow reaction time in backhand recovery and awkward movements in collecting forehand pushes. Bae, who had only made a return to the national team in late 2008, said after the instrumental win: “I didn’t have any pressure and only played to enjoy the game. Players always have a lot of pressure in big events like this, especially the first single. 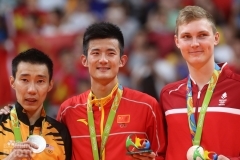 I guess I overcome the pressure better than Wang Yihan”. Korea quickly doubled the lead through the scratch partnership of Lee Hyo Jung / Kim Min Jung. The last time the two badminton powerhouses met in the Uber Cup final was in 2004 where Korea picked up the sole point through Lee Hyo Jung’s doubles. Lee Hyo Jung, then 23 years old, teamed up with Hwang Yu Mi to defeat China’s top pair Yang Wei / Zhang Jiewen in straight games. Despite both Lee Hyo Jung and Kim Min Jung’s poor record against Ma Jin / Wang Xiaoli (picture right), but they defied all odds just as Bae Seung Hee did. Lee / Kim executed an incredibly beautiful game plan that dismantled China’s world #1 pair Ma Jin / Wang Xiaoli in scores of 18-21, 21-12, 21-15. “We felt comfortable walking into the hall today. 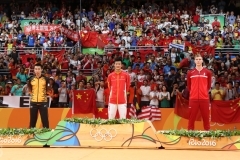 China’s a good team and we’ve came here to learn,” said Kim who was obviously not banking on bringing back a point. 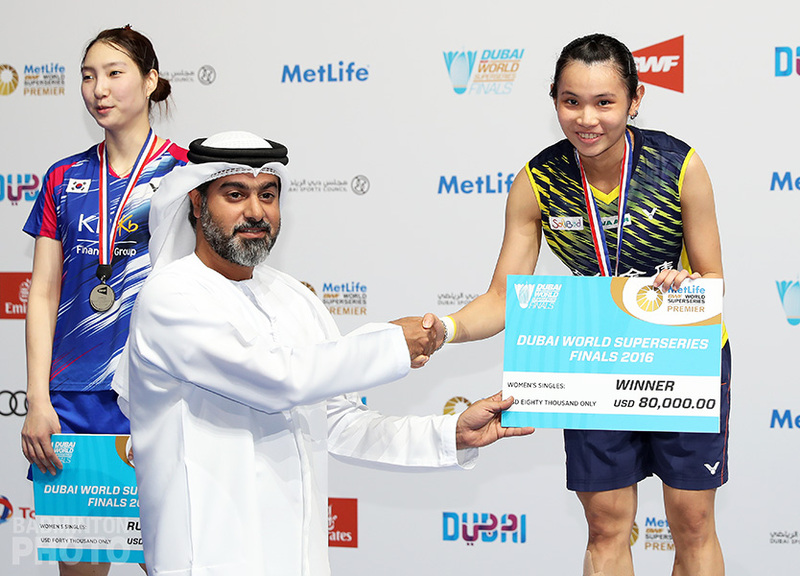 Korea continued to provide the thrills and spills as 18-year-old Sung Ji Hyun gave China’s world number 2 Wang Xin a good run for her money. An ever-so-confident Wang captured the first set 21-14, but a spirited Sung stole the second 21-16 before conceding the tiebreaker 7-21 to an even more spirited Wang. Korea then sealed the deal through the second doubles pair of Lee Kyung Won / Ha Jung Eun (picture left), whose gutsy display earned them a deserving 19-21, 21-14, 21-19 victory over China’s reigning Olympic champions Du Jing / Yu Yang. It is sweet revenge for Lee Kyung Won, who had teamed up with former partner Lee Hyo Jung at the 2008 Olympic Games, where they lost the gold to Du/Yu. It was indeed apparent that nearly the entire Putra stadium besides the Chinese nationals themselves were cheering for the Koreans. So for the sake of badminton and of sport altogether, let’s hope Indonesia were watching this and will step into the Thomas Cup final on Sunday remembering what sport is about. Badzine is reporting ‘live’ at the 2010 Thomas and Uber Cup Finals in Kuala Lumpur! Check back for our daily news updates and follow us on Facebook and Twitter.To enjoy our live PHOTO GALLERY, CLICK HERE. 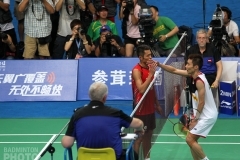 Live video feeds of the 2010 Thomas and Uber Cup finals can also be watched on Totalsports.tv!